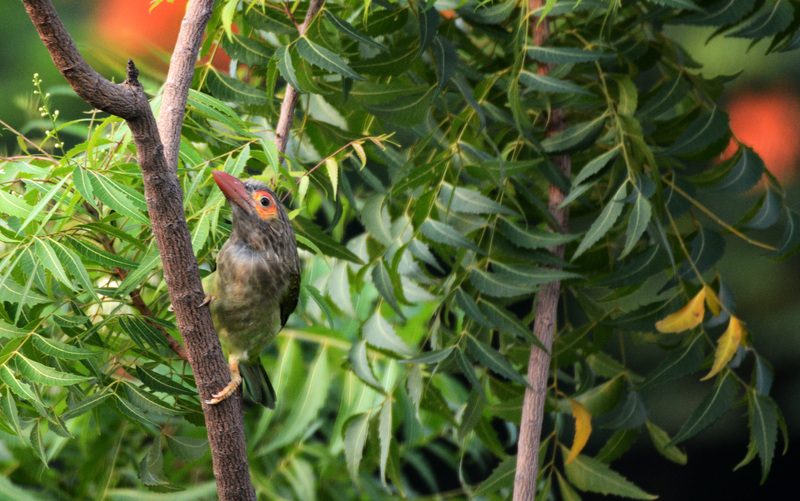 Birdwatching from my Balcony: Barbet you not! These early spring days are the best. It seems that everyone is out to find a mate. 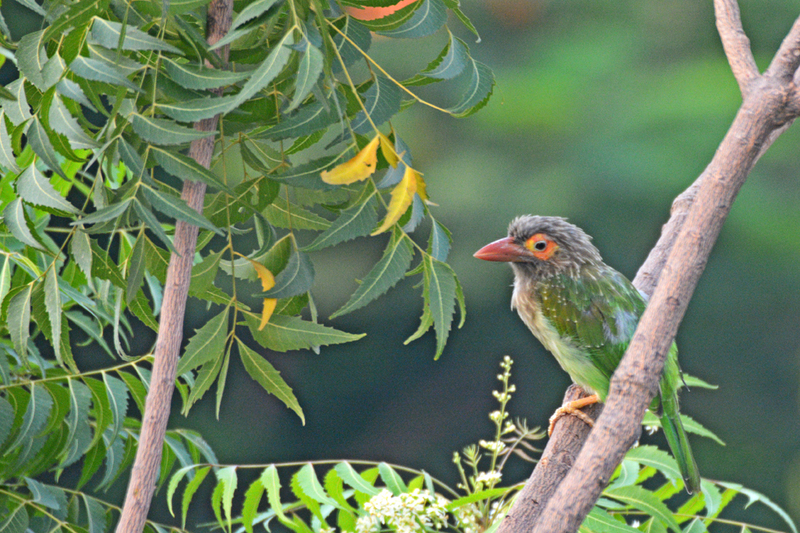 Yes sir, even the Brown-headed Barbet (Megalaima zeylanica) that calls the park next to my balcony home. One particular morning, in the usual rush to get to work on time, i almost missed the rather enthusiastic kutroo…kutroo…kutroo call of the male bird. I put on my Sherlockian deerstalker and decide to investigate (work be damned). A short search later, i locate the male bird, perched on the crooked branch ardently calling away. He was clearly calling with an agenda. By the time i spotted him, he has been calling for an hour with no sign of tiredness. Hopping from one branch to another, his calls added another dimension to a slightly still Tuesday morning. Who’s that hiding behind the branch? 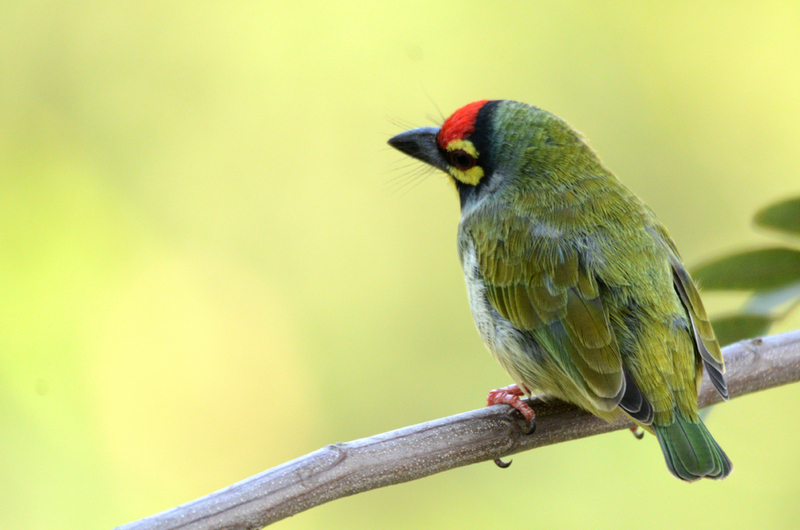 The calls, especially at this time of the year are meant to attract a female. Given the enthusiasm of the male bird, a female had to be close by. 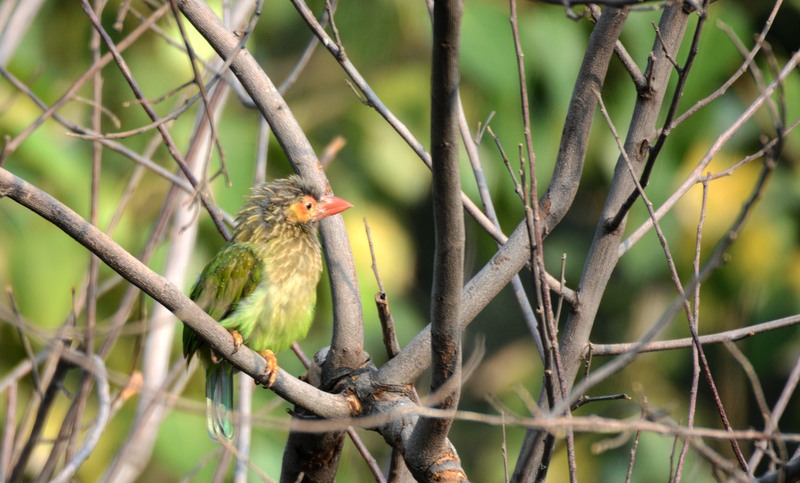 And sure, there she was, a fluffy little thing sitting coyly on a neem branch across the park. Yup, it’s me. Nice calling, btw! 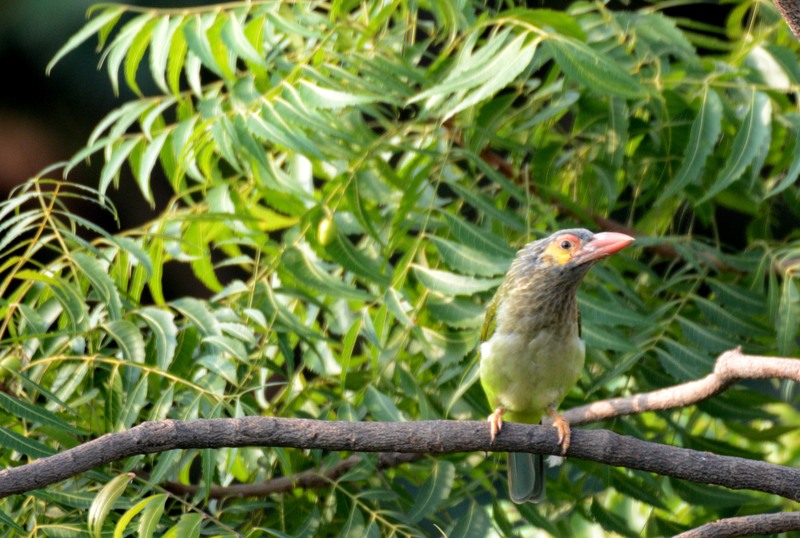 The thing about Brown-headed Barbets are that they are rather large, ungainly birds. 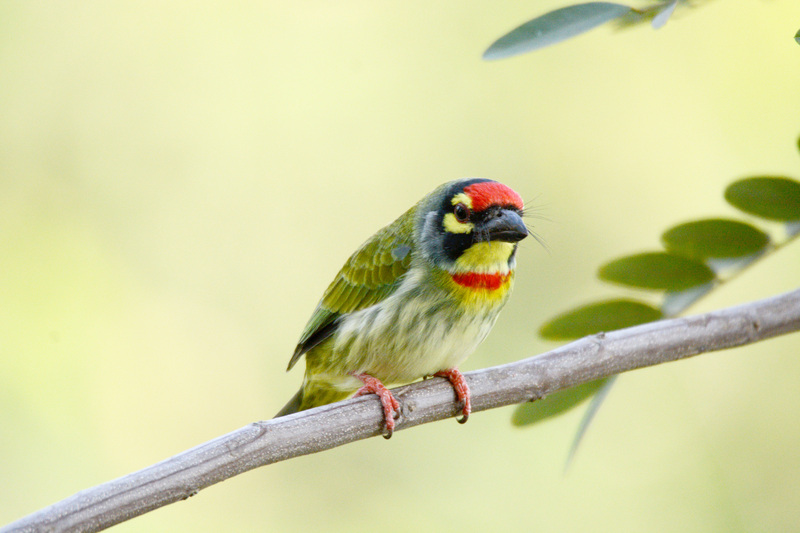 Along with their cousins from the Western Ghats, the White Cheeked Barbets, they are perhaps the lest visually appealing of the Barbets. 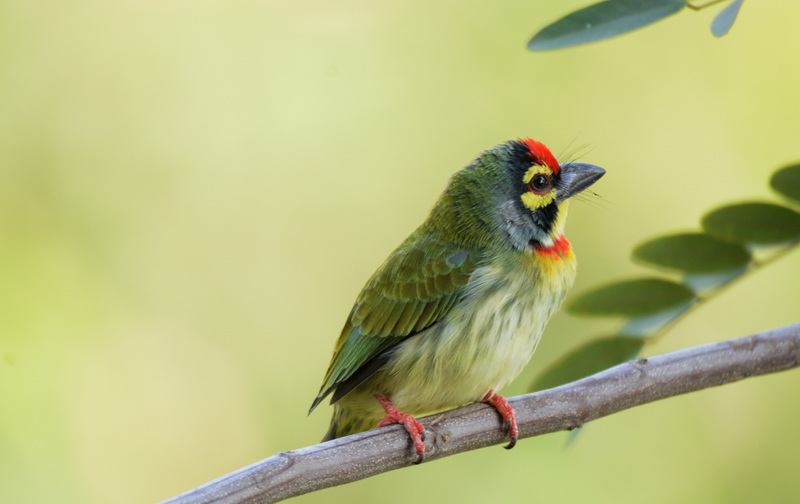 But there is another of the species that nests on the Gulmohar tree near my house – the Coppersmith Barbet (Megalaima haemacephala). 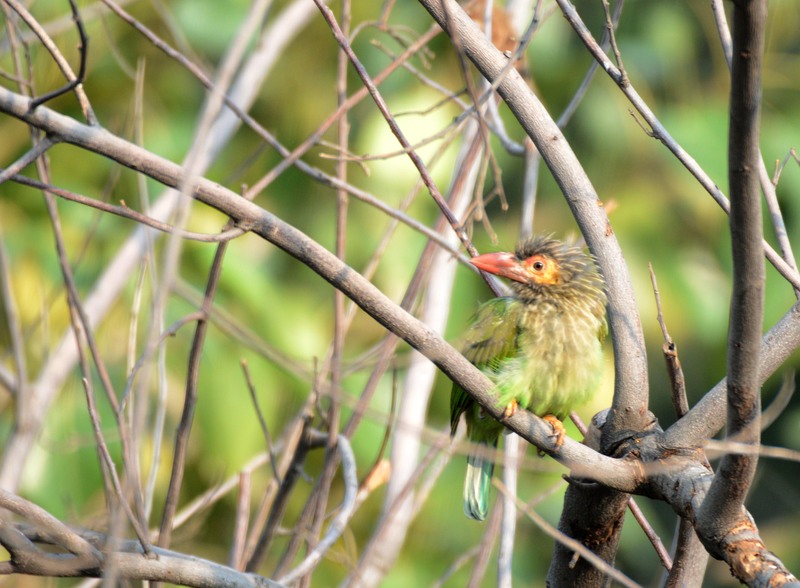 It is a small bird and due to its predominantly green plumage it is rather difficult to spot. 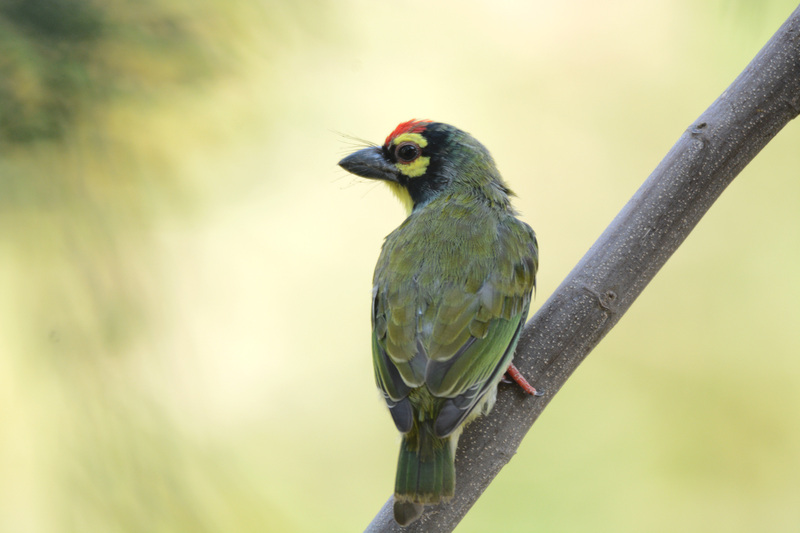 However, the red forehead, yellow eye-ring and throat patch with streaked underside and green upperparts gives it a fairly striking appearence. 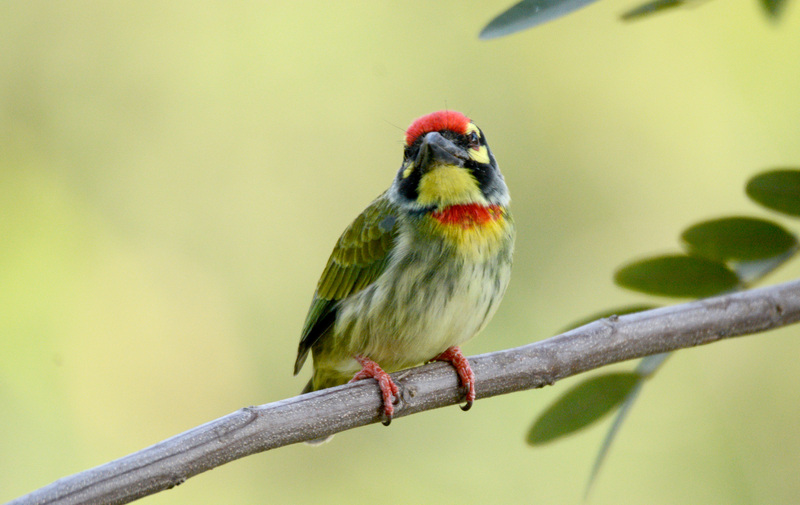 This tiny little bird has a metronomic call that is similar to a coppersmith’s hammer hitting the metal. Hence the name. The bird usually calls more during the springtime so in my native Bengal, its calls are considered to be a prologue to the golden season. 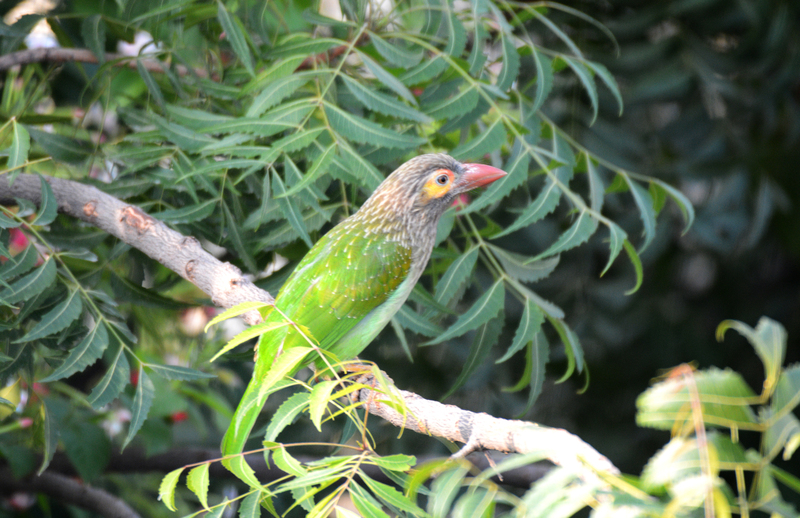 I love these Barbets and I am waiting for when they come a little closer to my balcony. Till then, I leave you with this one parting shot of the little Coppersmith.